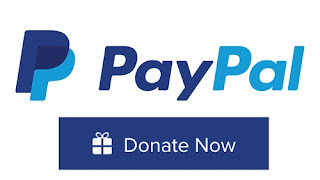 How To Create Paypal Donation Button Code for Website . To get donation via Paypal your must have your own Paypal Account , It doesn't matter what type of account your have , It may be Personal Account or it could be the Business account , You can get Donation in both account , But you must have Paypal account with verified email id , which may be used as a Account for accepting donation , make sure to verify it properly before adding Paypal donation button to your website or blog . Also make sure to test your Paypal Button by sending small payment of 0.10 $ or higher to ensure that your email id is verified and donation will be received to right user . If you don't have paypal account then you must have one to get online working Paypal donation button with verified email id . Once your have verified your pay pal account , then Copy the below given code to your website or blog Html . You can Also Add Custom text On Pay pal donation window By Changing My Text 1 and My Text 2 .